Set includes 4 wheels, 4 tires, 4 center caps and 16 lug nuts (if needed). 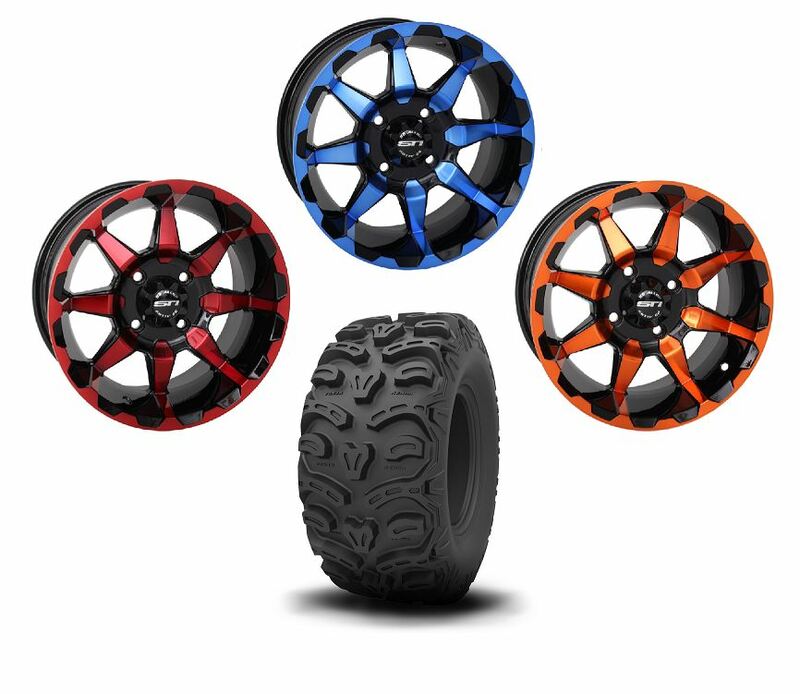 Are you tired of those plain looking black or chrome wheels and are looking to add some real originality to your machine? With the STI HD6 Radiant Wheels your machine will be transformed. 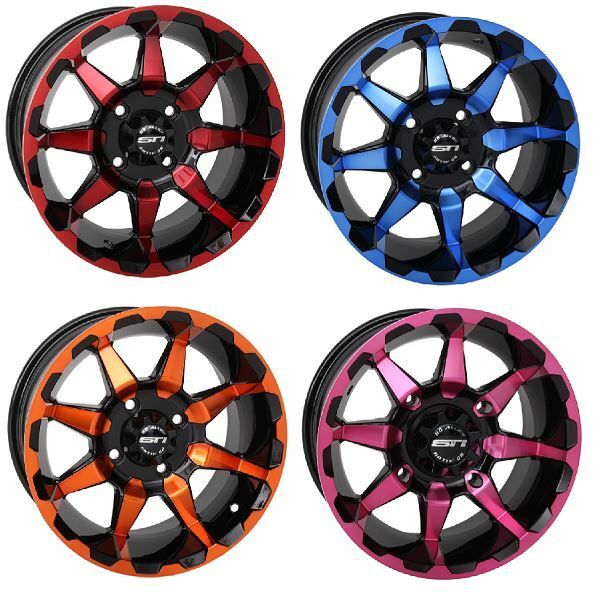 Available in 4 different radiant color finishes, blue, orange, red and pink. If you own a machine that has a 1000 pound load rating then this wheel was made for you. With reinforced inner and outer bead lips and featuring clear coat you are ensured with strength and durability that is unmatched by other wheels on the market today. The Kenda Bear Claw HTR is great tire for when you love to ride the rough terrain. 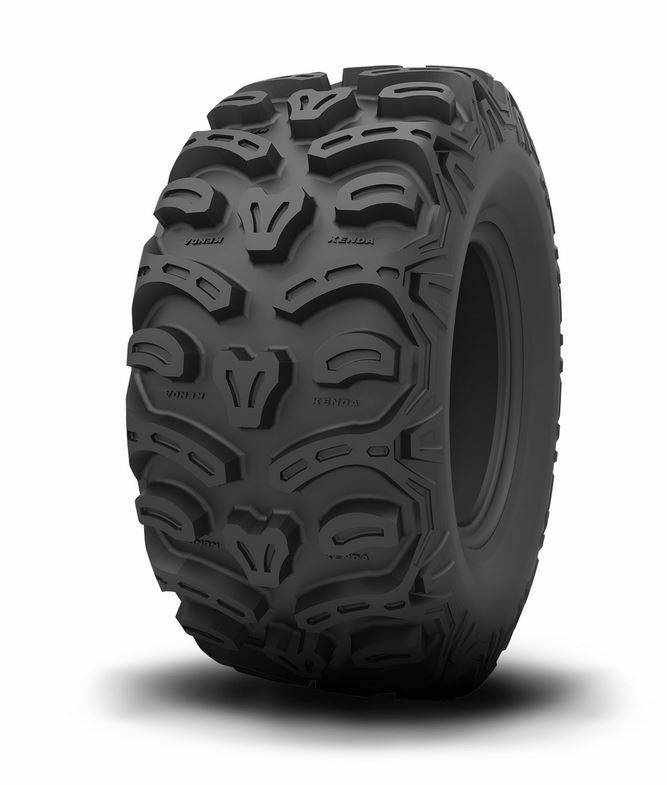 With the 8 ply radial design this all terrain tire will provide you with a smooth ride with maximum grip. With a max load of around 200 pounds and a 21 mm tread depth these tires were made to tear up the trails in. With a self-cleaning tread pattern and radial construction you are promised loads of wear and tear.